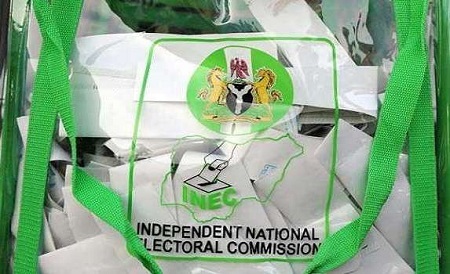 The Independent National Electoral Commission (INEC) has released a timetable for general elections till 2055. INEC said it released the timetable in an attempt to engender certainty in electoral calendar and allow for long-term planning. Speaking at a regular quarterly consultative meeting between INEC management and political parties in Abuja, yesterday, INEC Chairman, Prof. Mahmood Yakubu, said the commission has fixed dates for future elections in the country till 2055. Yakubu stressed that the initiative is to ensure stability and certainty in the country’s democractic process as obtained in developed countries such as the United States of America where everybody knows the dates for presidential elections. “On this principle, the dates for the 2019 elections as well as future elections are no longer a matter of speculation. He further explained that the idea is to “engender certainty in our electoral calendar, allow for long term planning by the commission as well as stakeholders and brings our democracy in line with the best practice around the world. On the issue of under-age voting, Yakubu pleaded with the political parties to assist the commission to weed out ineligible voters from the voters’ register. “I wish to appeal to political parties to help the commission in further cleaning up the voter register. This appeal is all the more pertinent here because, in addition to the display of the voter register in every polling unit nationwide before the 2011 and 2015 general elections for claims and objections, copies of the register were given to every political party at the time. “In addition, the commission also availed each political party that fielded candidates in the five governorship elections conducted since the 2015 general elections a copy of the updated voter register for each state. “However, as at today, no political party has formally drawn the attention of the commission to the prevalence of ineligible persons based on their interrogation of the voter register,” he said. Regardless, Second Republic lawmaker and public affairs commentator in the Northern, Dr. Junaid Mohammed, described INEC’s 36 years election schedule as highly ambitious, even though he admitted having never heard of such before now. “This is highly ambitious. Even though I’ve read about it but then, we need to know what will happen if it contradicts INEC laws itself and other laws or even the activities of INEC as electoral umpire. “I have my own reservations about this development. They need to give us concrete reason for this long period. Election schedule for about 30 years? On its part, the People’s Democratic Party (PDP) has said it is studying the INEC timetable. PDP National Publicity Secretary, Kola Ologbondiyan told Daily Sun yesterday night that the opposition party would make its position known, after a critical analysis. “We are still studying it. We will make our position on it known very soon”, he said. Kaduna based constitutional lawyer and rights crusader, Festus Okoye has urged INEC not to make timelines unambiguous and leave room for surprise and manipulation. “The 1999 Constitution (as amended) and the Electoral Act, 2010 (as amended), have circumscribed and delineated the time frame for conduct of party primaries, submission of the list of nominated candidates, withdrawals and substitution of candidates and the conduct of elections. “Secton 132 (2) of the Constitution makes it mandatory that an election to the office of the President shall be held on a date not earlier than 150days and not later than 60days before the expiration of the term of office of the last holder of that office. “Section 31 (1) of the Electoral Act mandates all political parties to submit to the commission not later than 60 days before the date appointed for a general election the list of candidates the party proposes to sponsor at the elections. “The dates for almost all activities leading to a general election are certain and circumscribed within the ambit of constitutionally and legally prescribed time frames. “What the Commission has done is to pull out the timelines in the Constitution and the law and place in the public domain.